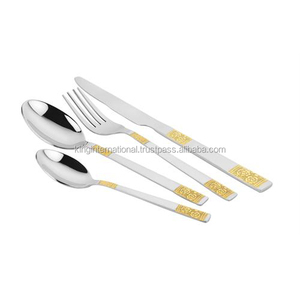 Jiangsu Shengpo New Material Technology Co., Ltd.
2014 China Manufacturer turkey market stainless steel gold plate cutlery product details Description Thickness Length Width Weight dinner knife 3.5mm 21.1cm 1.9cm 48.0g dinner fork 1.8mm 20.0cm 2.5cm 29.0g dinner spoon 1.8mm 19.4cm 4.2cm 35.0g dessert knife 3.0mm 19.0cm 1.7cm 32.0g dessert fork 1.8mm 18.5cm 2.3cm 23.0g dessert spoon 1.8mm 18.0cm 2.9cm 31.0g tea spoon 1.5mm 13.7cm 2.9cm 14.0g coffee spoon 1.5mm 11.5cm 2.5cm 11.0g 2014 China Manufacturer turkey market stainless steel gold plate cutlery product photos 2014 China Manufacturer turkey market stainless steel gold plate cutlery packing photos 4pcs, 16pcs, 24pcs, 30pcs, 36pcs, 48pcs for your choice! 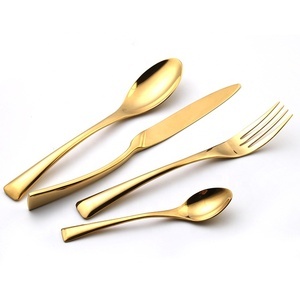 2014 China Manufacturer turkey market stainless steel gold plate cutlery factory photos 2014 China Manufacturer turkey market stainless steel gold plate cutlery certification wholesale turkey market stainless steel gold plate cutlery Contact information: Contact person:Sunny Gao TM:cn1510177012 QQ: 564648017 whatsapp: +8613686180691 Mobile: +8613686180691 Tel:+86 0769-81307555-813 Fax:+86 0769-81302703 Remark: 1.Above pictures just for your reference, we will develop and produce the products strictly according with customers&rsquo; design and artwork. 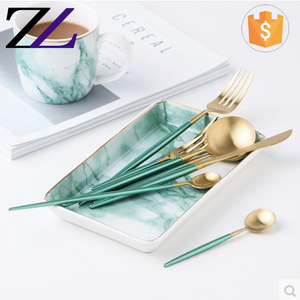 2.The unit price on the website just for your reference, exact price will be calculated according to your quantity, specification package, terms of delivery, material and special requirements. 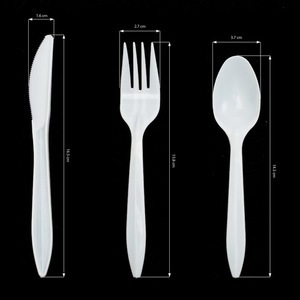 Alibaba.com offers 387 thai cutlery products. About 57% of these are flatware sets, 6% are dinnerware sets, and 2% are chopsticks. 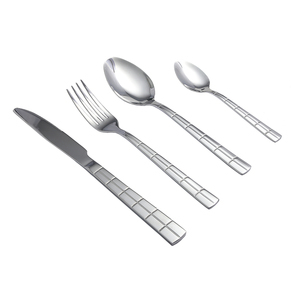 A wide variety of thai cutlery options are available to you, such as fda, ce / eu, and sgs. You can also choose from eco-friendly, disposable, and stocked. As well as from metal, plastic, and wood. 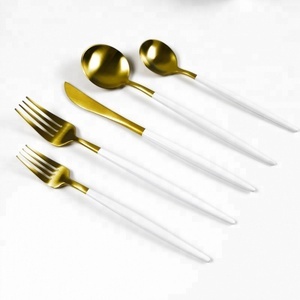 And whether thai cutlery is flatware sets, or chopsticks. 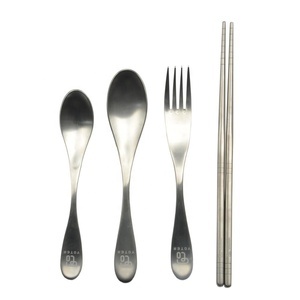 There are 277 thai cutlery suppliers, mainly located in Asia. 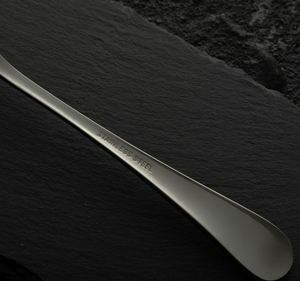 The top supplying countries are China (Mainland), Thailand, and India, which supply 73%, 22%, and 2% of thai cutlery respectively. 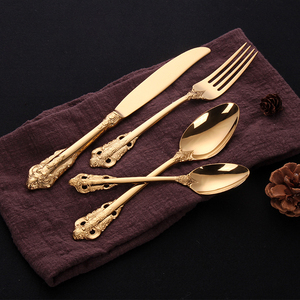 Thai cutlery products are most popular in North America, Southeast Asia, and Domestic Market. You can ensure product safety by selecting from certified suppliers, including 31 with ISO9001, 9 with ISO14001, and 6 with BSCI certification.